Place the slices of cheese on a serving platter, shingling them one on top of another. 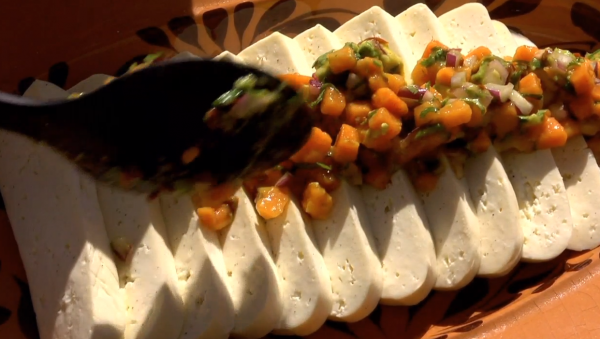 In a bowl, gently mix together the papaya, onion, avocado, lime juice, cilantro and chipotle. Taste and season with salt, usually 1/2 teaspoon. Spoon the salsa down the center of the cheese. Serve with the tostadas.